WOULD YOU BUILD THE LARGEST STRUCTURE IN THE WORLD, THEN "FINISH" THE INTERIOR POORLY?? WE SEE A ROUGH SURFACED INTERIOR IN THE PYRAMID. WHY? WOULD YOU BUILD THE WORLD'S LARGEST ROCK PILE TO HIDE YOUR PHARAOH AND STICK HIM IN A BROKEN BOX IN AN UGLY PLACE?? WHY DON'T WE ASK THESE SIMPLE QUESTIONS? INTRODUCES THE REVERSED MINING TECHNIQUE FOR BUILDING! Copyright by Theodore L. (Ted) Whidden, more information is available at www.SolomonSeries.com . Is it possible this beat up old stone box (coffer) in the Upper Room ("King's Chamber") is in some way related to a rock flipping concept? THINK ABOUT IT!!? Before we move too far along I need you to focus on one concept. The pyramid builders were NOT proficient at building upright buildings or structures. I need you to THINK differently in order to see and learn the truth. The pyramid builders were actually MINERS! They had been mining for hundreds of years. The pyramid is built through "Reverse Mining" techniques that allowed them to build vertically in the same manner they lifted stones out of quarries. In each instance they would position themselves so they could stand up above on a ridge, and work from within a hole. 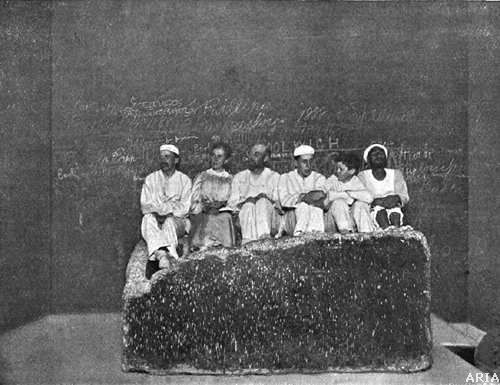 Since their skill set taught them to lift stones from beneath their feet in a quarry to a level where they were standing, at each juncture they would build a room of some sort, get on top of the walls and then lift stones to the level where they stood using mining techniques. Understand that since the builders of the past did not have I-beams, rebar, and overhead technology then builders of today would fail to recognize the ancient building techniques. Never forget these were MINERS who decided to mine rocks above ground. This is one of the first attempts at vertical construction, but they used below ground techniques to erect above the natural plane. If you do not understand this, you will never understand the pyramid construction����..The failure of academics in the past to recognize and understand the builders has long since distanced us from the truth. Since they fail to understand this aspect of the culture we will soon learn there are many things they have failed to understand. 1) A large empty space with bare, simple, ugly walls. 3) No ventilation. That is right no ventilation. The channels/tubes are unfit for ventilation as I will explain. 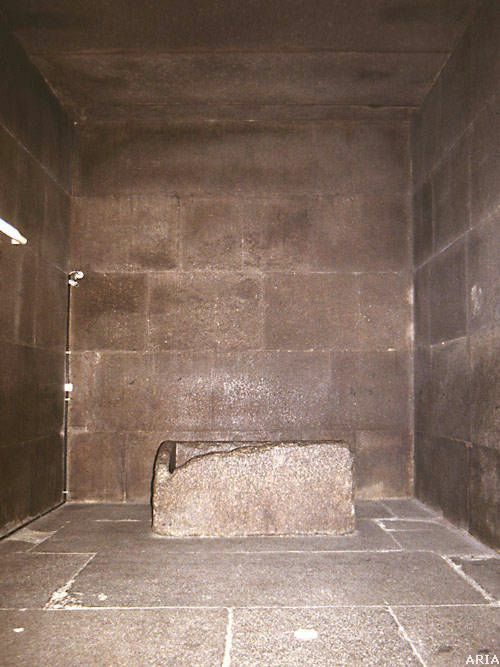 4) The largest stones in the entire structure are found in association with this room, but the majority are only 3 foot by 3 foot approximately. 5) The large unsupported room is made up of slabs of stone. Let�s start by showing you a picture. Since very few have ever seen the room, they make up lies and myths about this work space. You need to take an honest look at it and remove the scales of deception placed by pseudo-scientists who have failed to tell the truth. This is a truly stunning photo with detail that many need to see. Study this photo closely. I will address some of the finer points in the photo. The room is 17 feet wide, 34 feet long, and 19 feet high. It is made of smooth cut/broken stone that is unfinished. 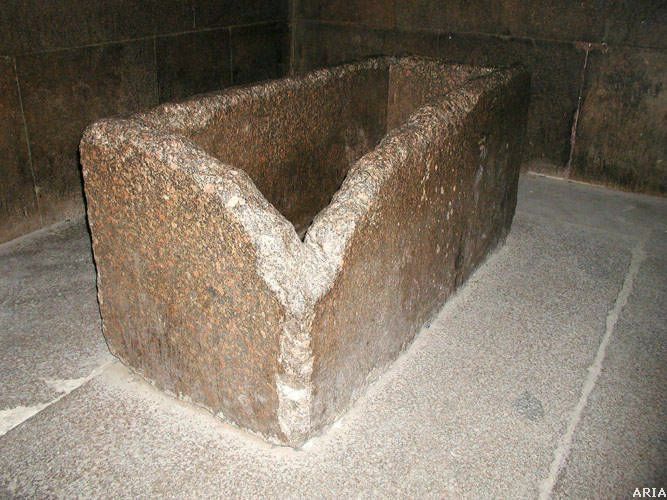 It is lined with pink granite, which makes up less than 2 percent of the mass of the Great Pyramid. The �filler� stone behind these walls and throughout the structure is rough cut/broken locally quarried lime rock (NOT imported granite! )(Not finely tooled or cut either!). As one can see from the photo there are 5 tiers of rock that make up the 19 foot height. By way of simple calculation we find the rocks are less than 4 feet in height (19/5 = less than 4 feet). Can you �see� it? As we look across the back wall (west wall of the room) we see the 17 foot span of the room width is made up of 3 or more irregular length stones, therefore the average length of the stones is only 6 feet or less (17/3= less than 6 feet). Many are only 3 feet by 3 feet. LOOK! The stones are not gigantic. They are relatively small. As one can see the stones are not nearly as big as we are lead to believe, and I can assure you these are some of the largest in the entire structure. See the book The Solomon Series: Great Pyramid Mystery Resolved where we address the stone sizes, handling cutting, etc.�����As we look at the bulk/mass of the structure we see the majority are locally quarried lime rock of less than 2.5 feet cubed, weighing only about 1800 pounds. Much of what we read focuses on the sensational rather than the truthful. Focus on the truth, because the Truth will set you free. 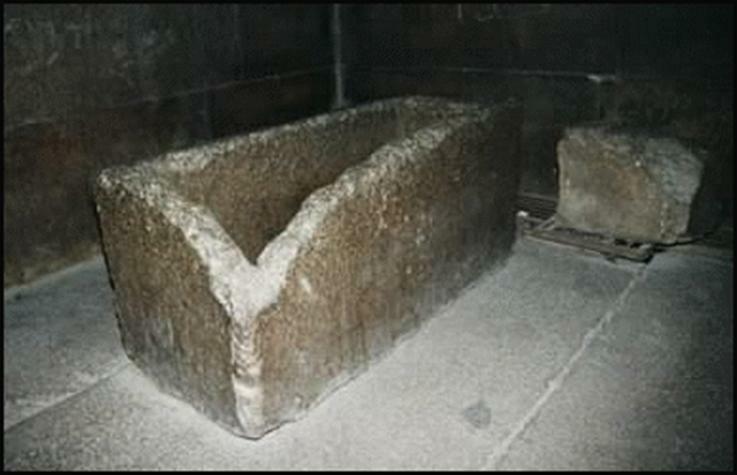 Before going onwards, lets look back at the stone box found in the middle of the floor of the upper room. Look again at the photo above. Study the stone box. Notice it is about 7 feet long, and only as tall as one strake of stone behind it. The box is about 28 inches tall. Many people get all excited about this being a �Coffin� or �coffer� of some kind, but this cannot be true. It is a lie that Egyptologists, Archaeologists, etc spread out of imagination only. There is no indication whatsoever that this was ever used as a coffin. In fact there is indication it was never a coffin����..Recall this was found in a completely sealed room that was empty!? The only thing found in the room besides this box was dust, salt, and dead bugs. (There are reasons for these three elements in the room. Get my books!) There were three sets of stone locking/blocking mechanisms to prevent entry, and they were completely sealed. 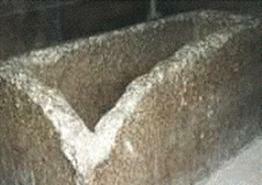 The idea that this is a sarcophagus (coffin) is a lie, plain and simple. It is the work of over active imaginations of people who know no better. Mark those people as low integrity, deceptive people. In this area one needs to begin to �mark� the illusionists and understand who will lie to you and who will not. Many will. Be aware. 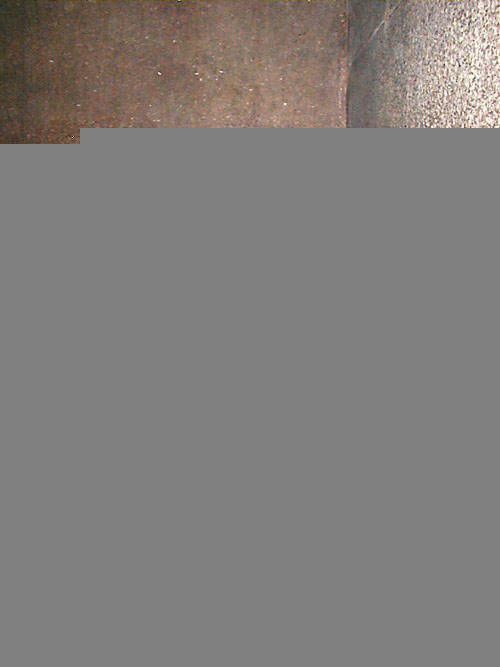 Look closely at the erroneously labeled �coffer�. The external appearance is rough and beaten up as if used in a working environment. There is/was no lid to the box. The box was never carved in an ornate manner. It is ugly as it was designed to be. The top lip or edge of the box is rounded, not fitted. Look at how severely the corner is broken on the box itself. What would it take to break/wear this corner this way? It would take dozens of impacts from very large, very heavy objects, wouldn�t it? Look closely at the box. Since there was never a dead body in this room, and the room was sealed is it likely this was simply a �tool� for building the structure? Look closely at the box. This �break� is not man-made, it is not simple, it is a complicated breaking pattern from an extended mechanical operation. As we look internally the box is too long and too narrow to house a body. What would/could it house? We shall see in the attached drawing as found from studies of the Great Architect. Do you want to see what this box was for? Click here! INVERSION TOOL PDF. As we can see from the Inversion Tool drawing set this is a working tool, not a burial device. Download now! As we move onwards look at the following drawing from the Smythe exploration in the mid-1800�s. From the Smythe drawing we know that it took 9 slabs of stone to cover the overhead. Since each stone is approximately the same width we can likely assume the end �half� stones will tell us the amount of coverage on each lip of the overhead we have, which is 2 feet or so at each end. By looking at the �solid slabs� only we see seven solid slabs and two half-slabs cover the roof for a total of eight slabs. Since the room is 34 feet long we can approximate the width of the slabs by dividing 34 feet by 8 slabs, making each slab a little more than 4 feet wide. Since we know the slabs are about 20 inches thick we can see that each one would fit nicely into the inversion tool, explaining the damages we see. Now look at the south wall of the drawing as represented in the fold out of the drawing. The south wall opposite the opening/doorway shows evidence of damage, impact, cracking, etc. This is evidence of poor handling and control at the time of construction. As you look at our inversion tool drawing set we demonstrate how the slabs would be moved in to the room from the north (Grand Gallery ramp) and would likely impact the opposing wall. Notice only this wall has the impact and the impact pattern fits perfectly with our mechanical drawing set. Note also, the height of the impact/damage. This height of impact fits perfectly with a room filled with two 20 inch slab sets, leveling the floor with the top of the �coffer�(Inversion tool). Again, this confirms our inversion tool drawings as likely the most accurate ever produced. Notice the flaws in the southwest wall. The seals began to give way in this corner shortly after construction. The damaged seals as evidenced and known in the 1800�s was part of the demise of the structure as discussed in Volume Two of the book, The Solomon Series: Great Pyramid Mystery Resolved. 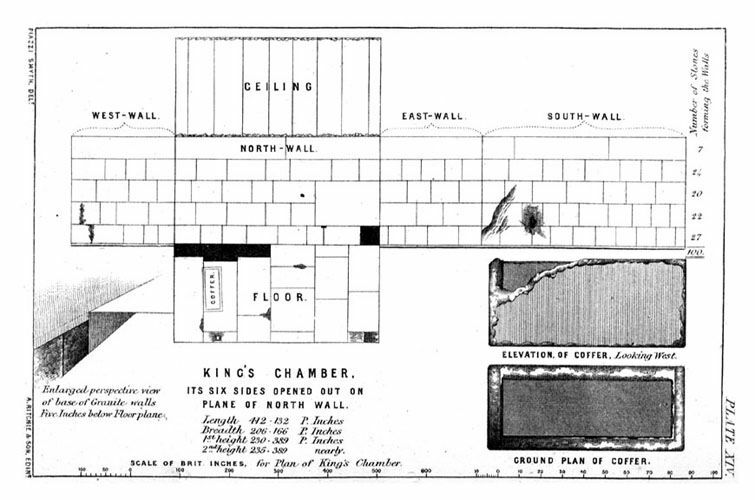 As we examine the east wall in the drawing as an example we see the builders used five stones to span the 17 foot width of the room, making the average stone less that 4 feet is size. Further since there is five tiers high in a 19 foot tall room the height of the stones is less than 4 feet. The graphic representation from over 150 years ago demonstrates the stones aren�t nearly as big as we were once led to believe. 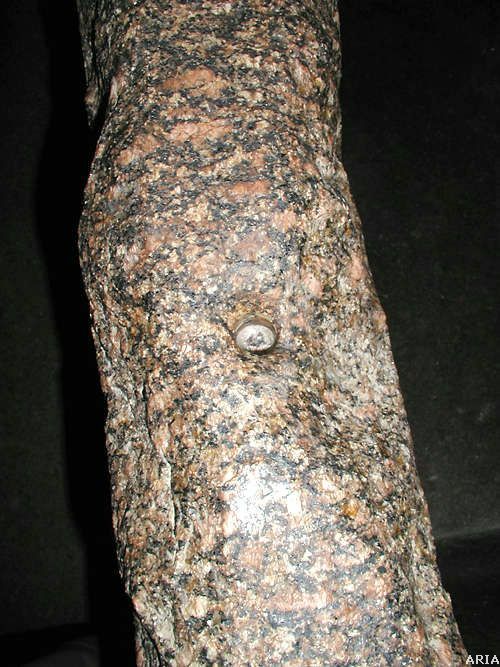 Understand as well that these are the �liners� made of pink granite. The locally quarried lime rock behind these stones is believed to be haphazardly cut/stowed irregularly broken and handled lime rock filler. As you explore our other evidences such as the �niche� in the erroneously labeled �Queen�s Chamber�, the dig profile of �Mamun�s Hole�, and other areas we see loose filler was used throughout the structure. The use of irregular stone, mortar, etc is part of what has allowed the structure to stand as long as it has. at www.SolomonSeries.com we see the errors of our past have had us measure the height of the spaces in the pyramid based on the floor we stand on, or the overhead we see. Since this is stone construction, an engineer would measure these slabs from the BOTTOM of the stone slab floor, and from the TOP of the stone slab overhead. From an engineering perspective the OUTER extremity of the stone rooms or liners will reveal how and why the structure is there. In the past we became so enamored with the romanticized illusions of past explorers we focused on the internal dimensions, when the key is in the external dimensions of the space. See the text series at www.SolomonSeries.com for full explanation and the mechanical/engineering significance. As we focus once again at the �inversion tool� or so-called �coffer� we see the rough impact of multiple stone movements likely caused the breakage to the corner. Further research allows the viewer of this photo set to note the dust/lines in the floors and stones of the space, relating them to the internals of the box. One can easily see the practical application of this stone box as an inversion tool. As we look at the next photo we see that more than 100 years ago observation was likely made that the box was too long for a coffer, and too narrow. Here we see a group of folks sitting on the inversion tool admiring the space. What do you think of the inversion tool now? No dead bodies were ever here. The "coffer idea" is likely a hoax, isn�t it? Here is a close-up photo of the edge of the inversion tool/coffer. Notice it is not ornate, irregular cut, and the site of a work in progress. Here is the entry way into the "King's Chamber". It is just about the size of the "coffer" or Inversion tool. Look at the walls and the small (low) entry way. Not likely a tomb, is it? Once again we see an entry (hallway) that shares an outer extremity/wall. Looks like a mechanical consideration for moving slabs from up the ramp to into a room. Nothing more. Look now at the photo which follows. The current entry way is only as high as one tier of stone. It is likely formed by default well after the stone slabs were installed above. Notice also what is probably the largest stone set in the entire structure. Very few people are aware, but if you look at the north wall of the upper room towards the Grand Gallery the second tier is the largest stone set in the structure. Once they loaded the floor two slabs high equaling the height of one tier of stone (and/or height of the coffer), we see the opening in this wall would have allowed maneuvering of the slabs into the room. (This part is more precisely explained in the book series.) NOW look at the room in a new way (Go back to the drawing above). If the south wall was completed prior to handling and inversion, and the north wall was only partial as we see (imagining the large north wall slab set removed), then we see an amazing phenomena. The �short� wall on the north would not allow as many workers overhead as the completed �south wall�. Can you see this? Do you realize that if we had more workers on the south wall than on the north wall, and if the south wall workers had greater control over the inversion process, then we would EXPECT the corner of the inversion tool to break off PRECISELY as we see in the photo!!! Notice the first photo is taken from the east looking west, with the southeast corner of the coffer damaged! Hallelujah! Ted Whidden has done it again! Hundreds of mysteries solved in every book! The findings in this unique research team that Ted has assembled will continue to uncover and reveal hundreds of mysteries in virtually every text. The alignment tools employed are amazing. From stones, architecture, and archaeology, to Egyptology, social issues, and theology. This is the best, most level-headed, and grounded approach to ancient studies in the world. Whidden and his team are setting a new standard for integrity in the world, and the exploration field. There is much more to come. These are merely teasers for what you will soon find in the eBook. More will be posted to the website as we go along. NEXT CLICK HERE FOR MORE PROOFS! You may also go to our online system for free electronic downloads, or for books in print purchase products as they are available. Go to "Materials and Tools" to get the project started.